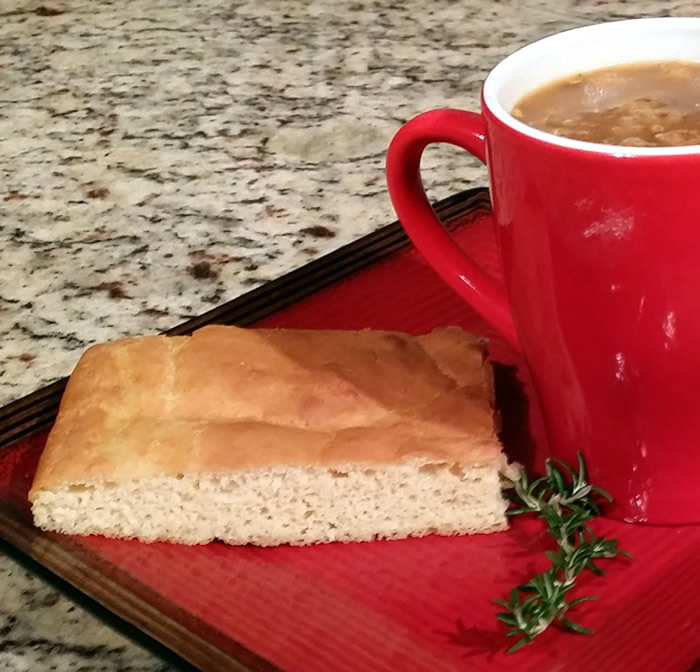 This recipe is so easy to make and a perfect partner to winter soups. I made it with fresh rosemary, but you could use dried rosemary or any herb that takes your fancy. I did try making it using coconut flour without success as I think it possibly needs the gluten in the flour to get the best end result. 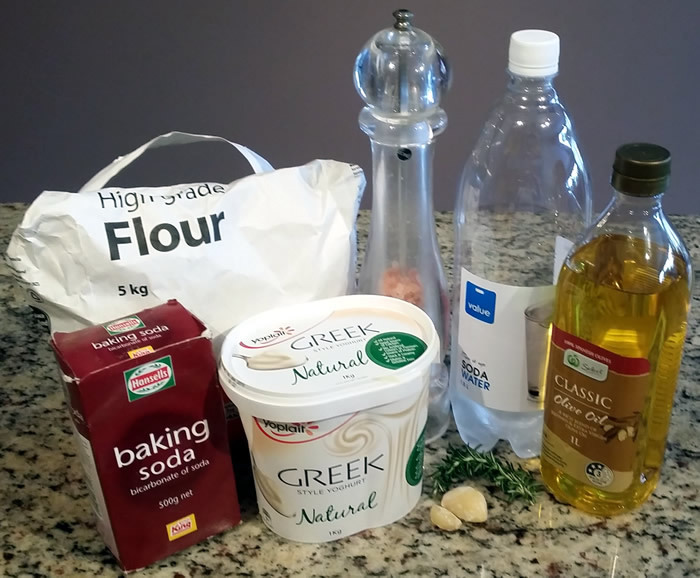 Dissolve baking soda with the yoghurt and garlic and let it ferment for a couple of minutes (it will go foamy). 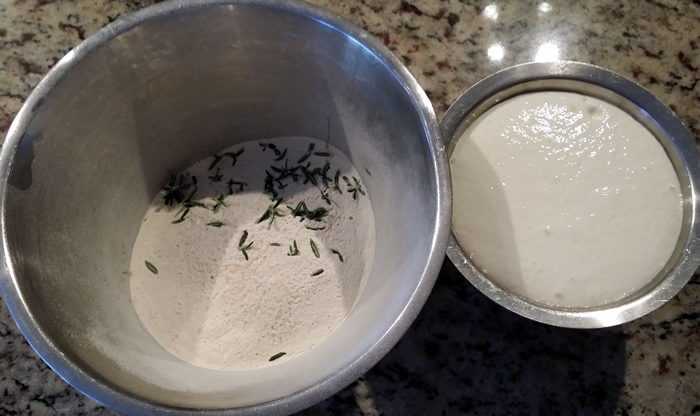 Sift the flour into a large separate bowl and add the salt and leave from 2 sprigs of rosemary. 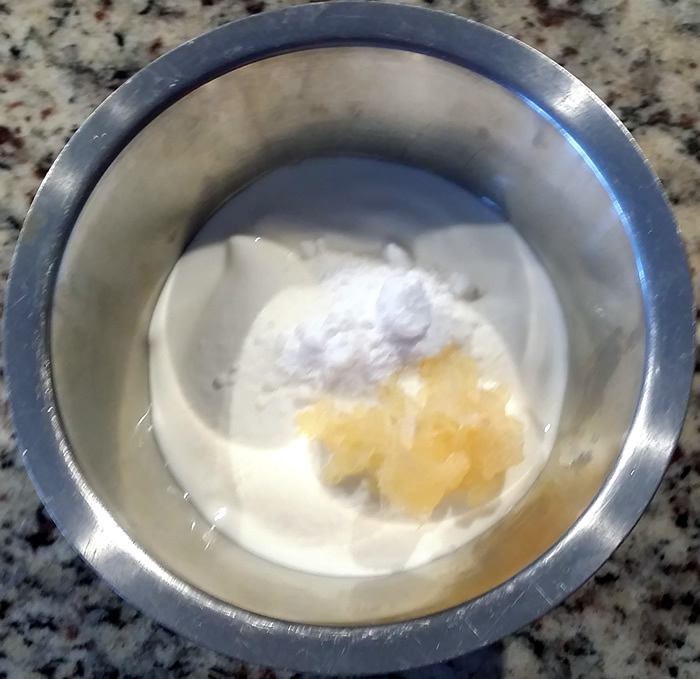 Add the olive oil to the yoghurt mixture and mix in with the flour. 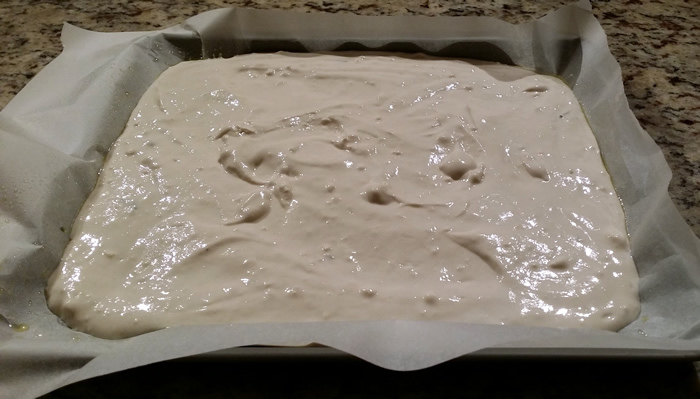 Line an ovenproof tray with baking paper sprayed with olive oil and spread the crumpet mixture onto it evenly. Bake on grill/fanbake setting at 180° C for 20 minutes or until golden on top. Serve warm with soup, dips or fondue. Hi Leanne, lovely to get your bread recipe and must try, so easy. How would whole meal flour work as not so keen on white flour? We must have a catch up as I often think of you. 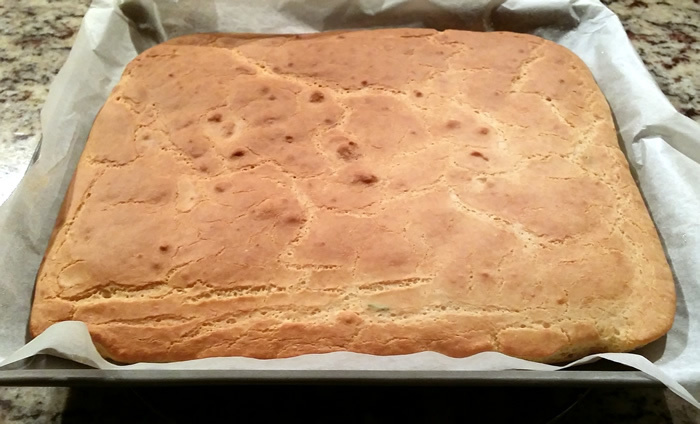 I don’t see why wholemeal flour wouldn’t work just as well – I did try with rice flour and that wasn’t a success at all!